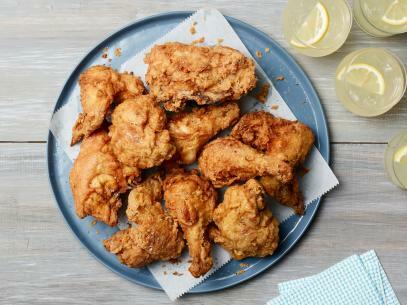 This is a faster version of fried chicken, using everyday pantry items. 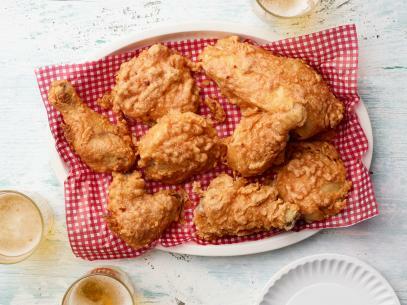 A quick toss in buttermilk and yellow mustard brings tangy flavor to the chicken, and the cornflake-herb crust offers a nice crunch. Preheat the oven to 250 degrees F. In a large bowl, whisk together the buttermilk, eggs, and 2 tablespoons mustard. 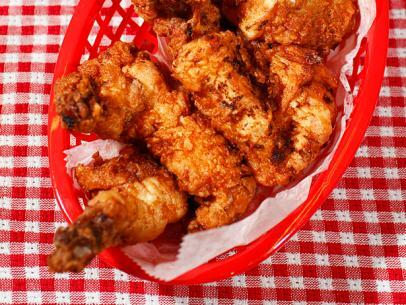 Add the drumsticks and toss to coat, then set aside. 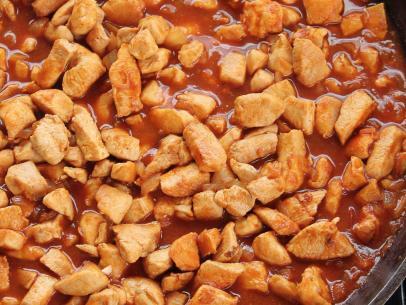 Fill a large cast-iron pan with 1/2-inch oil and heat over medium heat until shimmering. Meanwhile, combine the cornflake crumbs, flour, thyme, granulated garlic, 1 teaspoon salt, and 1/4 teaspoon black pepper in a shallow baking dish; set aside. In a small bowl, whisk together the honey and remaining 1/4 cup mustard and set aside. 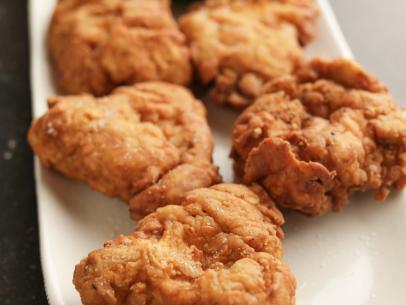 Remove the chicken from the buttermilk, shaking off any excess, then transfer the drumsticks to the flour mixture and coat well. 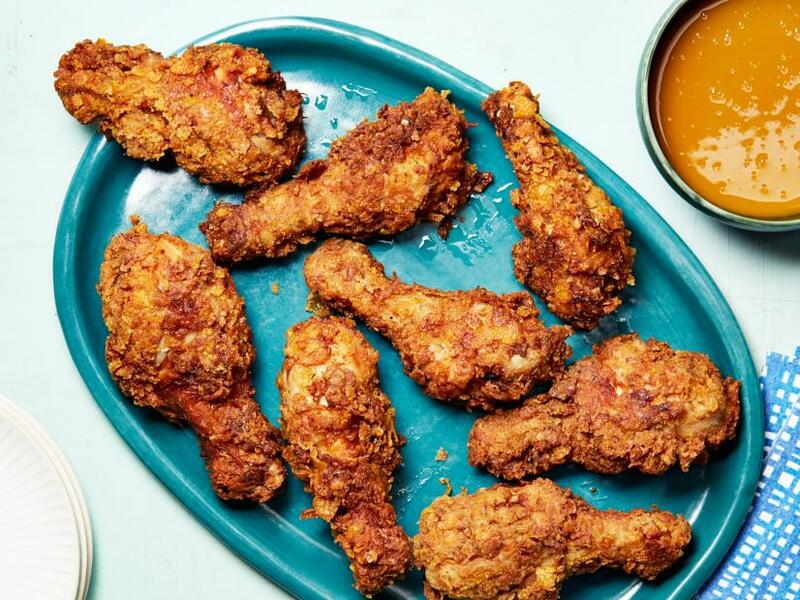 Fry the pieces in 2 batches, turning halfway, until richly golden brown and crisp and the internal temperature registers 165 degrees F on an instant-read thermometer (avoid touching bone), about 15 minutes. (Turn the heat down if browning too fast.) 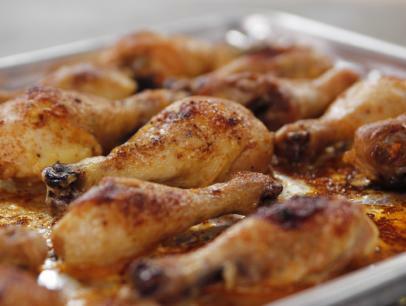 Transfer the drumsticks to a wire rack set over a baking sheet and sprinkle generously with salt. 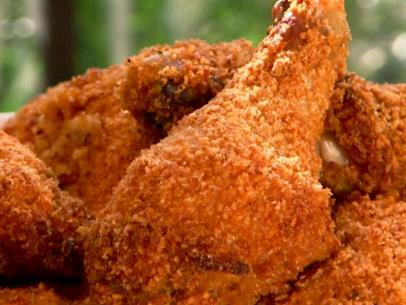 Keep cooked drumsticks warm in the oven while frying the second batch. 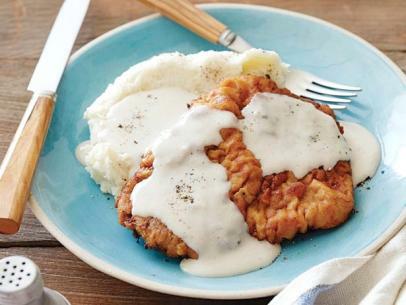 Serve immediately with the honey mustard.